Major Attractions: Qutub Minar, Humyaun Tomb in Delhi, Mandawa is famous for fresco paintings, Amber Fort, Hawa Mahal, Jantar Mantar (Observatory) in Jaipur, Tiger Safari in Ranthambhore National Park, Fatehpur Sikri, Agra Fort and Taj Mahal (symbol of love) in Agra. 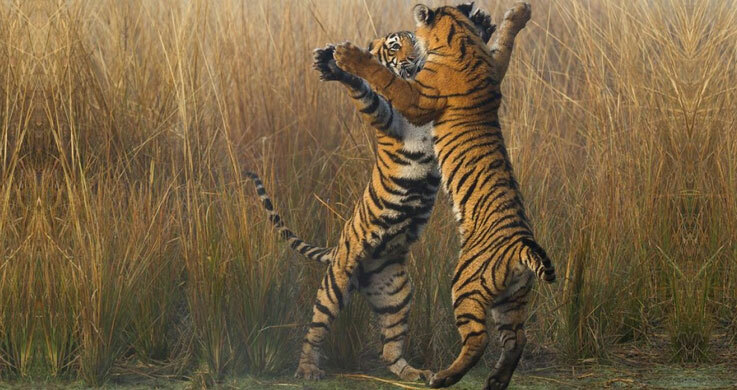 The Golden Triangle with Mandawa and Ranthambore Tiger Safari is an amalgamation of wildlife experiencing with sightseeing enchanting destinations. It is a tour with duration of eight nights and nine days covering cities of Delhi, Mandawa, Jaipur, Ranthambore, and Agra. The itinerary is plotted wisely for participant's satisfaction. The tour begins with a cheerful staff waiting to welcome you to Delhi. You will be transferred to your hotel for a comfortable night stay. The next day will start by sightseeing in Delhi. We will cover major tourist locations like Qutub Minar, Lotus Temple, the India Gate, the Raj Ghats (Gandhi Memorial) and drive past President's House and Parliament House. The third day embarks a 250 km drive to Mandawa where we will visit charismatic havelis late in the evening. On the fourth day, we will transfer you to Jaipur where we will explore Hawa Mahal, City Palace Museum, and Jantar Mantar. Dinner is prearranged at the authentic Chowki Dhani. On the fifth day excursion to Amber Fort and street shopping has been planned. We travel to Ranthambore on the sixth day. After staying there overnight, we will discover the Ranthambore National park on the seventh day. The eighth day begins with a leisure drive to Agra via Fatehpur Sikri. We explore the beautiful town of Fatehpur Sikri by visiting The Buland Darwaza, Palace of Jodha Bai, Birbal Bhawan and Panch Mahal. 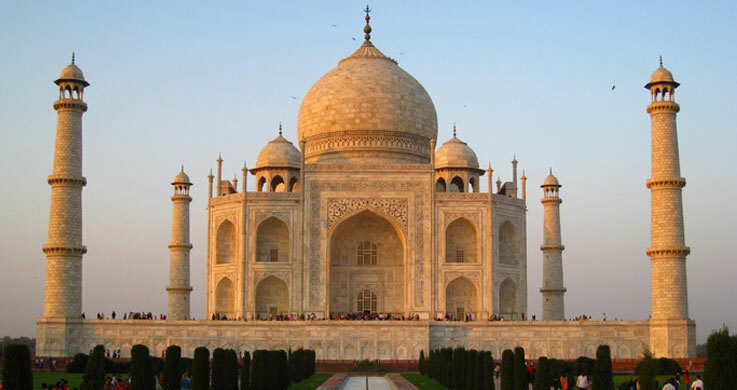 The ninth day is devoted for the grand Taj Mahal and Agra Fort. In the afternoon, we travel back to Delhi to board flights back home. After breakfast tour of Old & New Delhi visit Red Fort (Closed on Monday), enjoy the rickshaw ride from Red Fort to Jama Masjid via Chandni Chowk, Old Delhi streets.Later visit Jama Masjid, Humayun Tomb, India Gate & drive past Parliament house, President house and visit Qutub Minar. Overnight at hotel. Special activity: Cycle Rickshaw ride in Old Delhi and Sound & Light show at Red Fort. After breakfast drive to Jaipur, check into hotel for 02 nights stay. 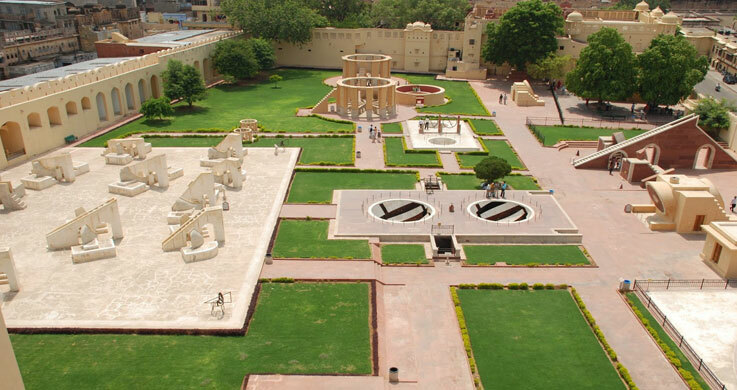 Afternoon proceed for sightseeing of Palace of Winds better known as Hawa Mahal, City Palace Museum and Jantar Mantar (Observatory). Later walled city tour by walk Start point: from City Palace via Tripolia Gate (Entrance gate of Royal Family), covering the beautiful Jaipur city centre with daily routine colourful life and vibrating pink city, old Bazaars from spices to the exquisite Jaipur savior, visit Bangles street from the smell of tea spices with flower Incenses street. Ending at Ramchandra ji temple with beautiful city view. Evening return to hotel. After breakfast proceed for excursion to Amber Fort in the outskirts of Jaipur followed by Elephant ride to the fort. Rest of the day free for shopping & individual activities. Special activity: Complimentary dinner with Indian Family with cooking demo. Evening return to hotel. Leisurely breakfast at hotel and drive to Ranthambore, upon arrival check into hotel for 02 nights stay. Relax & overnight at hotel. AM & PM Game view at Ranthambore National Park by sharing basis vehicle jeep or canter. Overnight at hotel. 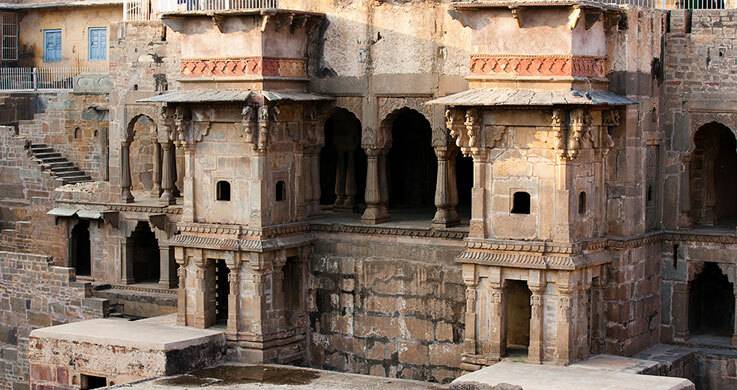 08 Day : Ranthambore – Agra drive (260Km/ 6.5 hrs) via Fatehpur Sikri. After breakfast you drive to Agra. En route visit Fatehpur Sikri (old deserted town of Mughal Dynasty) visiting The Buland Darwaza / Palace of Jodha Bai / Birbal Bhawan & Panch Mahal. On arrival check into hotel for 01 night stay. Taj visit by sunrise. Taj Mahal (Closed on Friday) – the most extravagant monument ever built for love Mumtaj Mahal by Emperor Shah Jahan in 1633. Back to hotel for breakfast & visit Agra fort. Noon drive to Delhi, on arrival drop at IGI airport for flight back to home. Tiger Safari at Ranthambhore National Park.